Challenge of Savage River (8032) features the coolest raft in the line, and a hard to find black and silver motor and mount. The other accessories, a yellow life vest, an unmarked cargo crate, map case, machete and sheathe, compass, soft canteen, and flashlight were all repackaged from other sets. 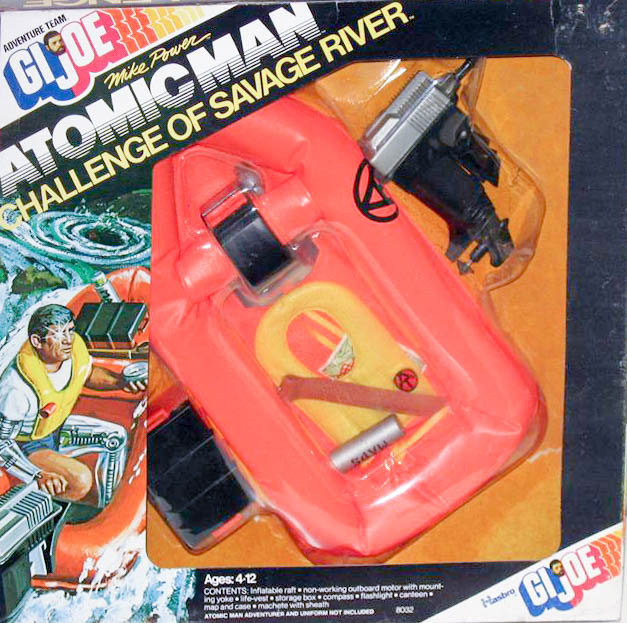 The raft was later reused in yellow for the Super Joe line. Image of the rare window box shared courtesy of John T. Marshall.